If you missed Sunday’s skating exhibition, check out a sneak preview of the photos by the event photographer! 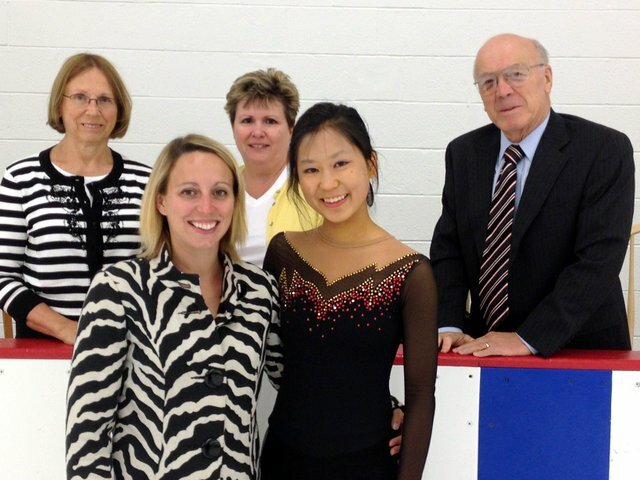 This entry was posted in 2013-2014 Season, EGL Regionals, Photos on September 25, 2013 by Columbus Figure Skating Club. Congratulations to our newest Freeskate Gold Medalist, Rina! Today Rina Saji past her Senior Freeskate test. Passing the Senior Freeskate test and the 15 tests that must precede it is a tremendously difficult task requiring years of dedicated work and a great deal of skill. CFSC is pleased to award this high honor to Rina Saji. Congratulations to Rina, her coaches, and her family. Skater Rina Saji is pictured with her coach Valérie Marcoux-Pavlas and judges Marcia Ouellette, Laura Murphy, and Robert Ouellette. This entry was posted in 2013-2014 Season, Member News, Results, Tests and tagged 2013-2014 Season, Member News, results, Tests on June 29, 2013 by Columbus Figure Skating Club. Congratulations to Rachael Bachman, who passed her Senior Moves In the Field Test during today’s test session. Job well done, Rachael!!! 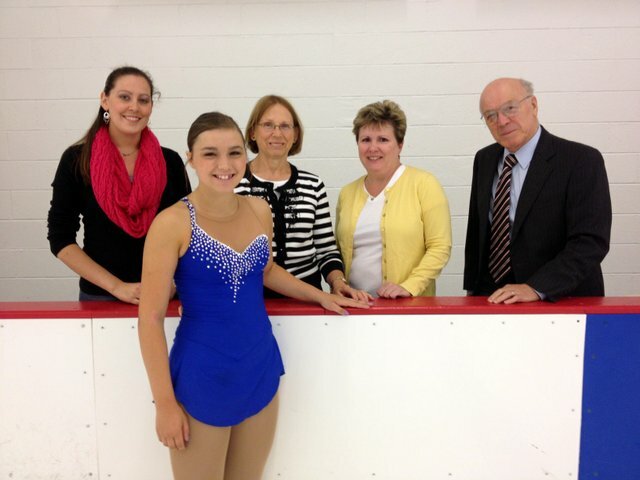 Skater Rachael Bachman is pictured with her coach, Fiona Jones, and judges Marcia Ouellette, Laura Murphy, and Robert Ouellette. The parking lots surrounding the OSU Ice Rink are managed by CampusParc. You have several options for parking when skating at the rink. 1) Park with a valid OSU faculty/staff/student permit. 2) Park with a Visitor Surface Lot Permit (Off-Peak) (obtained from 160 Bevis Hall at 1080 Carmack Road on West Campus). These are available in single, multi-day and monthly increments. See http://www.campusparc.com/osu/about-us/contact for business hours, etc. 3) Park with a single-use validation ticket obtained from the blue Pay-n-Display kiosks (they take coins and credit/debit cards). 4) Park with ParkMobile, which is a new visitor payment option that utilizes pay-by-phone and smart phone applications. 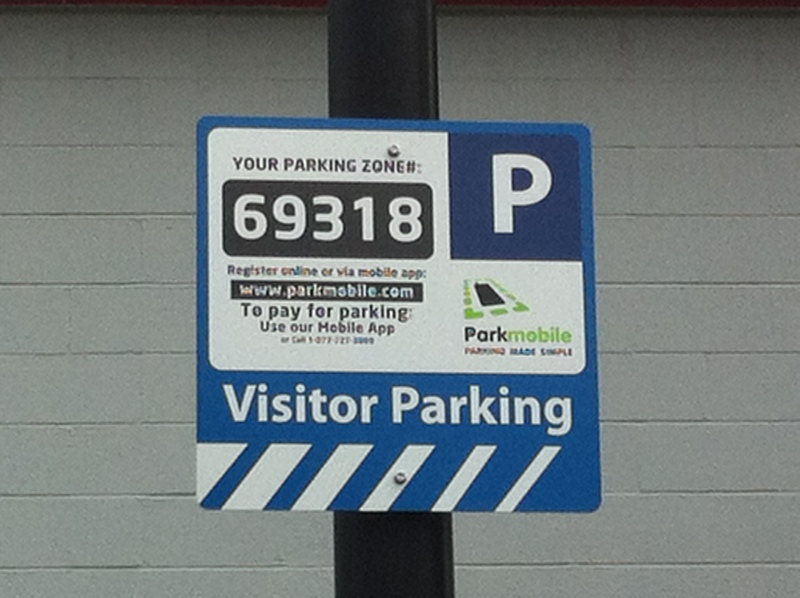 ParkMobile accounts can be registered online at http://www.parkmobile.com, via the ParkMobile app, or in their automated phone system at 877-727-5009 and entering the required information to create an account. The OSU ice rink parking lot zone number is 69318. 5) Park without paying and risk getting a ticket (not suggested!). At times, CampusParc personnel are on site at the lot entrances collecting a flat-rate event parking fee. If you will be at the rink for several hours, the event fee may be cheaper than other options. This entry was posted in 2013-2014 Season, Group Lessons, Holiday Competition, Ice Contract/Calendar, Member News on June 27, 2013 by cfscprez. 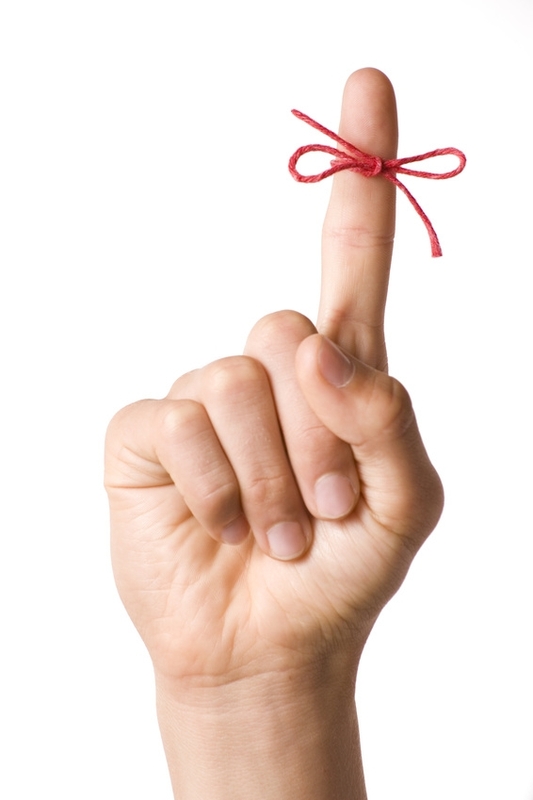 Have you renewed your CFSC Membership? 2013-2014 CFSC Membership forms are due! Please remember, you must have an active USFS membership to compete at upcoming competitions. Troy Summer Skate and Skate Detroit are right around the corner. Contact our Membership Chair with questions. This entry was posted in 2013-2014 Season, Member News, Uncategorized and tagged 2013-2014 Season, Member News on June 26, 2013 by Columbus Figure Skating Club. 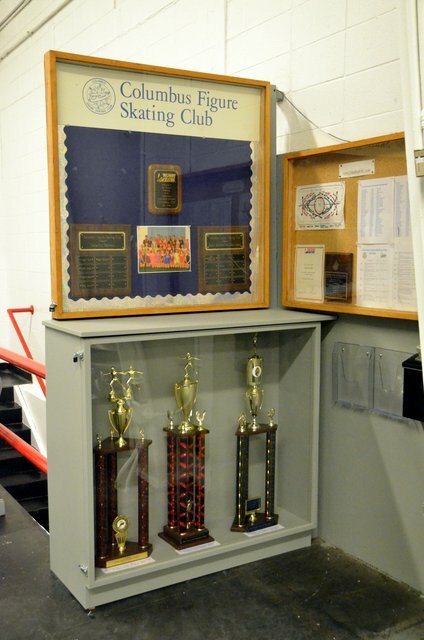 Stop by the rink and see the new CFSC display cases! This entry was posted in 2013-2014 Season, Member News and tagged 2013-2014 Season, Competitions, History, Member News on June 21, 2013 by Columbus Figure Skating Club. This entry was posted in 2013-2014 Season, Tests and tagged 2013-2014 Season, Tests on June 12, 2013 by Columbus Figure Skating Club. Good Luck Buckeye Skate competitors! Have fun & Sk8 Gr8! This entry was posted in 2013-2014 Season, Competitions, Member News and tagged 2013-2014 Season, Competitions, Member News on June 7, 2013 by Columbus Figure Skating Club. Due to increasing interest in our Basic Skills Group Lessons program, CFSC is looking for a Basic Skills Coordinator. Are you organized? Think you would enjoy sharing the joy of skating with parents and skaters new to the sport? Consider supporting the club and growing the sport of figure skating by clicking and reading the Basic Skills Coordinator Description below! Questions: Contact Tricia Privette, our incoming CFSC President. This entry was posted in 2013-2014 Season, Group Lessons, Member News and tagged 2013-2014 Season, Group Lessons, Member News on May 22, 2013 by Columbus Figure Skating Club.